In honor of National Pancake Day, Price and I had pancakes for dinner last night. I adapted a recipe for pineapple cinnamon pancakes from The Great Big Cookie Book by Hilaire Walden. Apparently pancakes fall under the scone and muffin category in a cookie book, who knew? Well I thought the combination of pineapple and cinnamon was interesting and would be good so I picked them as the pancake to try. These pancakes turned out to be fluffy, thick, and flavorful. 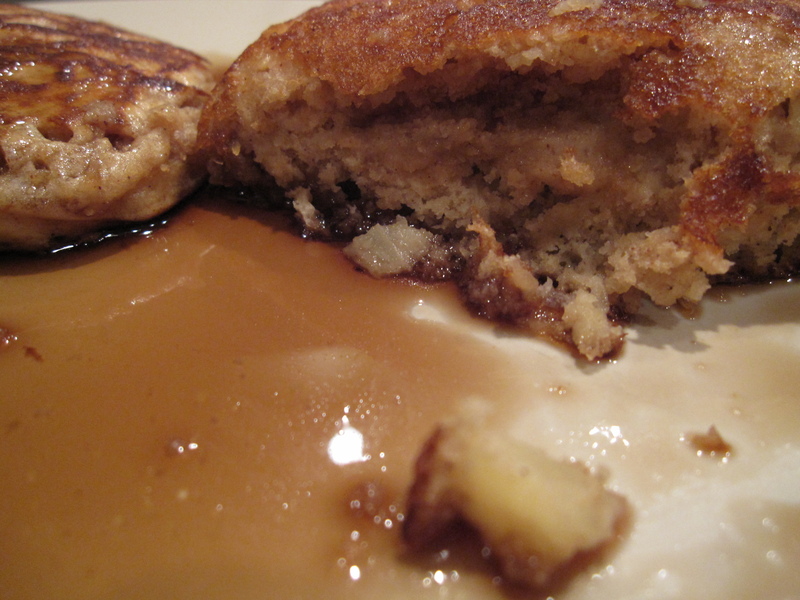 These pancakes were quite dense, which resulted in an airy sponge that soaked up our syrup. (awww we used syrup we got during a trip to VT for one of my birthday’s) Every bite was punctuated with bits of the crushed pineapple. I think that it could have used even more pineapple. The best is that there is little sugar and no butter or oil in the recipe making them a bit healthier and makes them light in texture. This is a large batch of pancakes. We purposefully make large batches of pancakes and waffles so we can freeze them and reheat them later on for a quick breakfast. Then freezing the pancakes separate them with pieces of wax paper before wrapping them up. Separating them will prevent them from becoming a block of pancakes and defrosting/reheating a lot easier. Mix together the eggs and milk. 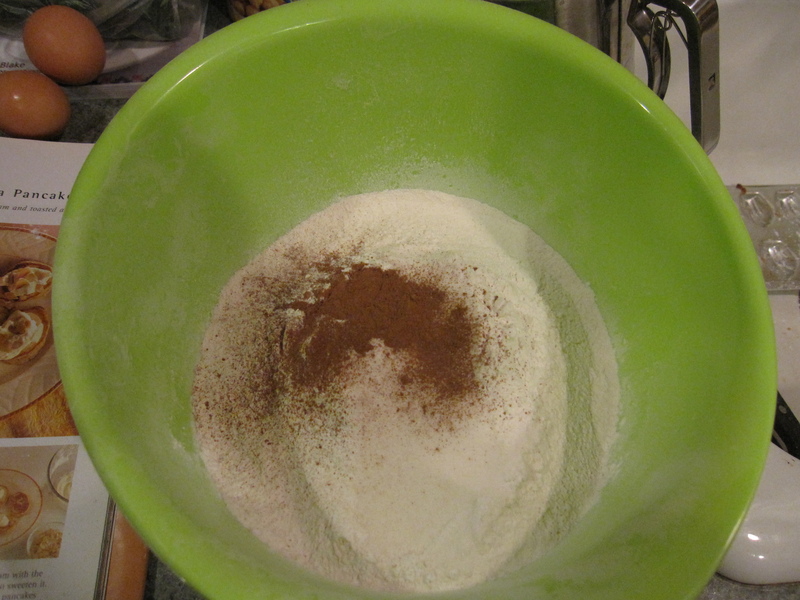 Combine the wet ingredients into the dry and mix together. 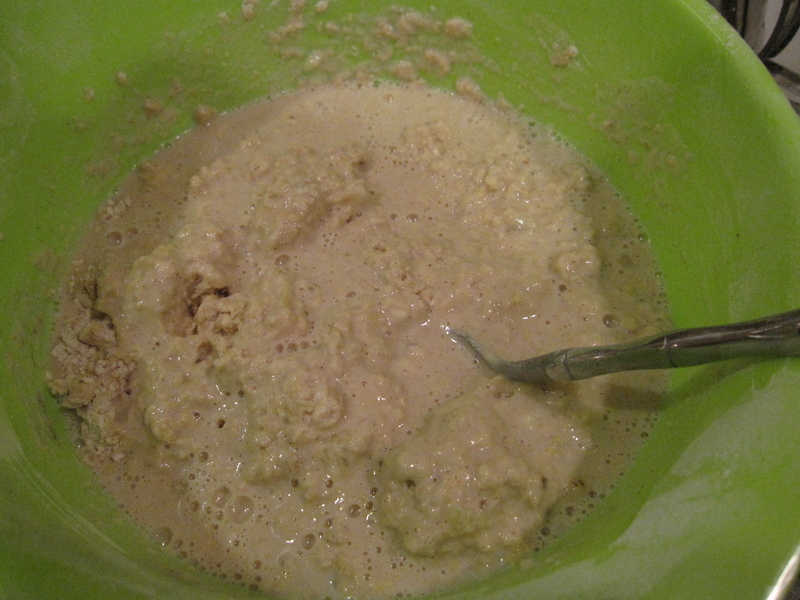 Add in the crushed pineapple and mix. Add more milk if you like thinner pancakes. That first picture, covered in syrup, made me hungry! I loooove pineapple.